We’re lifelong residents of Wisconsin’s Fox Valley, and we also have been serving Appleton since 2008. We have a deep appreciation for bringing friends and family together for fun and relaxation. Check out our galleries of pool installations. 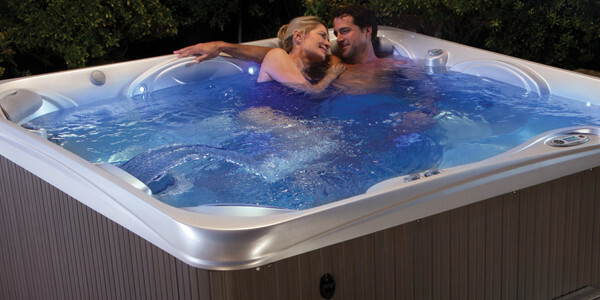 And as your authorized local dealer for Hot Spring and Caldera Spas, we are proud to offer you the world’s best selling hot tubs. 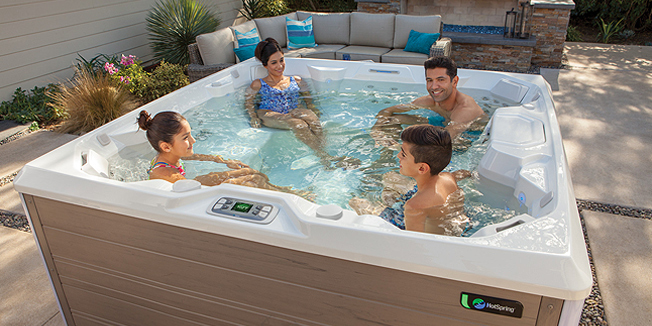 Whether you would like to talk about a backyard pool, enjoy a free test soak, or simply browse our showroom to see the various spa models and accessories, our professionally trained experts can answer all your questions and help you find the right hot tub for your lifestyle and budget. The Pool Team is family-owned, and has 40 years of combined experience. We specialize in custom swimming pool construction and design, from traditional pool shapes to free-forming designs. We have a full-time staff, and also sub-contracted experts that are ready to build your ideal space. Our team is well versed in all pool construction phrases. From resurfacing, liner installations and replacement, design modifications, lighting, slides, diving boards, hardscaping to leak detection, The Pool Team is here to give your pool a complete makeover! Contact us today for a quote, or stop by our store. Our knowledgeable and friendly staff will complete a full test of your water. We provide personalized consultations to make sure your pool is in top shape.